Asset management for Action’s bus network remained a priority for Australian Capital Territory in the last financial year, according to the latest annual report. So far the state has completed delivering new buses as part of the 135 Bus Replacement program, replacing Action bus radio communications and introducing more MyWay reload agents, according to the Territory and Municipal Services Annual Report 2012-2013. They also launched the Centenary Loop bus service and are implementing a realtime information system, while they are continuing to improve the Action bus network. "Asset management remained a focus for Action in 2012-13 with a number of projects undertaken to upgrade facilities and equipment," the report states. "These included the replacement of 95 driver seats, replacement of passenger seats in 26 buses, replacement of 55 major bus components including engines, transmissions and differentials, upgrades to driver amenity areas across the network and upgrades to the Belconnen workshop and Tuggeranong depot and workshop buildings." 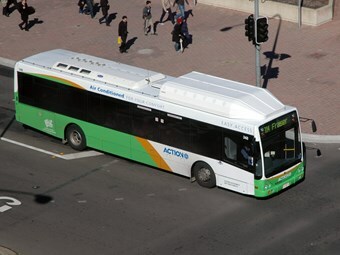 Bus Industry Confederation Executive Director Michael Apps, based in ACT, says of the report: "ACT should always be looking to increase the frequency and number of services Action provides".